After successfully completing a corporate turnaround in early 2018, Nexus Gold (TSXV:NXS) is executing on its plan to define the next important gold deposit in Burkina Faso in West Africa. Its goal is to define at least one million ounces of gold in the next 18 months at its 286km2 Bouboulou and Rakounga properties in the Birmimian Greenstone Belt and elevate the company’s profile to become a takeover target in one of West Africa’s most thriving gold mining jurisdictions. Bouboulou sits in a regional north-east trending structure that hosts numerous artisanal workings along its 120km length and also hosts the Bissa Hills deposit that is mined by Nordgold. 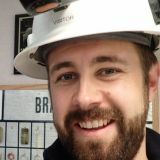 Leading the exploration effort is SVP Warren Robb P.Geo who has over 25 years’ of mineral exploration experience including time as chief geologist for Burkina Faso compatriot Roxgold where he supervised field exploration and diamond drilling at the Bissa West and Yaramoko gold projects. To date, the company has identified three separate 5km long gold-mineralized trends on its Bouboulou property, which the company is trying to determine whether it comprises one single 16km trend. “Two of these are on Bouboulou and trend onto our adjacent Rakounga property. We have just completed a soil grid over the 9km gap between them and are waiting to see if the mineralized footprint continues between them,” said Alex Klenman, CEO of Nexus Gold. In addition to working out the geology, the company will continue reverse circulation and diamond drilling to generate information to undertake a maiden resource estimate. It recently completed its summer programme that amounted to some 4,000m, with assay results pending. Previous diamond drilling returned gold intersections including 6.0m @ 4.62g/t Au whilst previous reverse circulation drilling intersections up to 40.0m @ 1.54g/t Au. Drilling is relatively shallow to about 200m deep with the company focused on the 50-200m interval. This follows on from five drill programmes in 2017. “There is a lot of artisanal mining that goes down 30-50m so we can same that and get a good picture of the near surface mineralization,” he said. 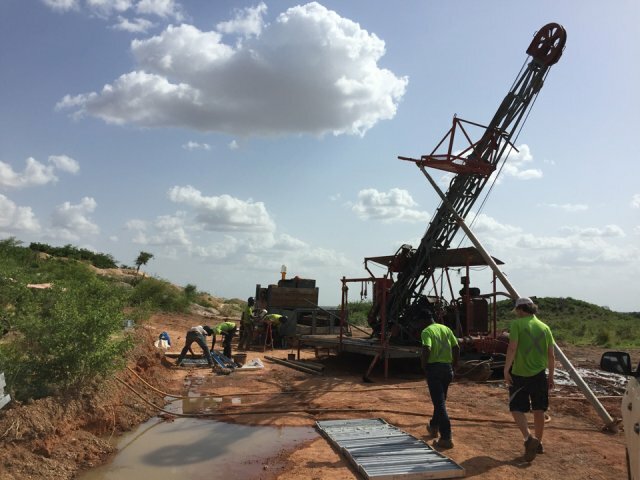 Mineralization, as is common in Burkina Faso, is typically 1-3g/t Au oxide material hosted in quartz veins and shear zones that can be multiple metres wide, that is generally amenable to low-cost production methods such as open pit, heap leaching. “We haven’t done any metallurgical testwork yet but that is on the horizon once we have better defined the size potential of the resource, but we are not expecting any surprises,” Klenman mentions. The company currently has about C$2.0 million in its treasury, which is sufficient to continue its current works programmes into 2019. Klenman estimates that it may take another C$3-5 million of expenditure and another 18 months for the company to be in a position to define compliant ounces in a resource estimate. “At some point we will need to do a major financing that will allow us to get across the finish line. I think the market will give us recognition when we go that as it will know that we do not need to dilute any further to get the company into a saleable position,” he said. 2017 was a busy year for the company during which it completed five short drilling programmes before being subject to unusual trading activity in the latter half of the year that took the wind out of its sails. To right-size the company, former chairman and COO Alex Klenman reorganised the company’s board and management team, stepping into the CEO role himself, completed a 10:1 share rollback and in July completed the recapitalization of the company via a C$3.0 million raise. This included Sandstorm Gold making a C$900,000 investment to acquire a 17.3% stake at the time. Sandstorm also holds a 1% net-smelter royalty on Nexus’s Bouboulou, Rakounga and Niangouela projects. “Sandstorm doesn’t get involved with just anyone, but they like the potential of Bouboulou-Rakounga, which is a great endorsement,” said Klenman.